The new Matrix Gemini Field Analytics System from Autoscribe Informatics extends the use of the laboratory information management system (LIMS) to the field. 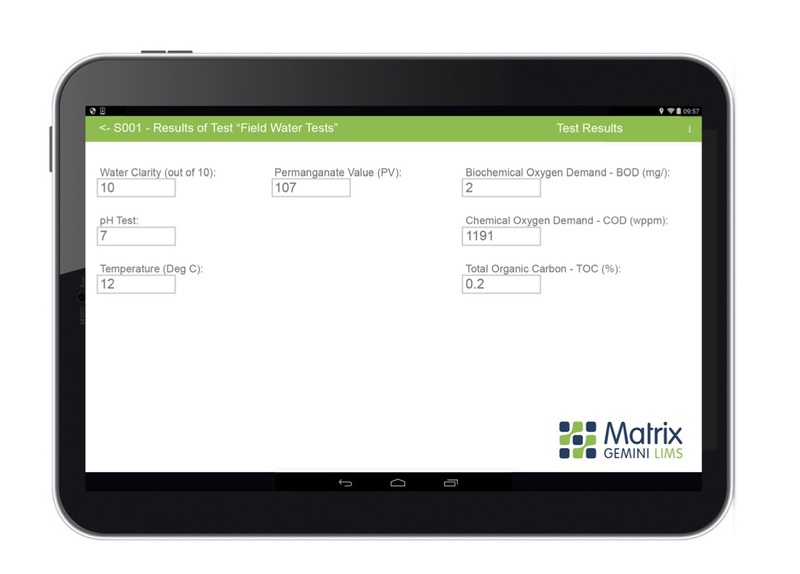 Further enhancing remote access capabilities for Matrix Gemini, the new system allows test data to be recorded offline and uploaded to the LIMS when an internet connection can be re-established. The Field Analytics System is designed to operate on an Android tablet or mobile device and sync with the Matrix Gemini LIMS database. It enables users to select and download the sample information they want from Matrix Gemini. The sample data can be edited and relevant test results recorded offline. Results are automatically checked as they are entered to ensure they are a valid type (numeric, test, etc.). Updated results are stored until an internet or mobile data connection becomes available and it is convenient to upload the data to the Matrix Gemini LIMS database server. Communicating with the database server via a web service, the Field Analytics System authenticates user rights before allowing access for data download/upload. It also records user identities when data is uploaded or changed. To limit the data downloaded, users may specify which samples are of interest. This keeps sync times to a minimum. A built-in search facility allows users to limit the number of samples shown at any one time on the device.